The UK's Trade Marks Act 1994 (“TMA 1994”) states that a registered trade mark and a pending application are both items of personal property (TMA 1994 s.2(1), s.22 and s.27(1)). As a result a registered trade mark, or even just an application for a registered trade mark, can be included as assets of a company in liquidation. Where a registered trade mark has vested in the liquidation estate, the trade mark registration may be sold, with the assignment being signed by the liquidator as assignor (TMA 1994 s.24(3)). The UK IPO must be informed of the assignment for it to be valid (TMA 1994 s.25(3)). To record the transfer of ownership of a registered trade mark form TM16 should be used. When considering whether a mark should be bought or sold in these circumstances, there are a number of potential issues to consider, such as splitting trade marks into ‘job lots’ and selling them separately from the goodwill of the business, charges and licences. While trade marks can be assigned as property separate from the goodwill of the business (TMA 1994 24(1)), whoever is planning the sale and/or purchase of that mark must take care to divide up a portfolio of marks owned by an insolvent company carefully. Unregistered trade marks can become worthless if they are sold in a way which splits the goodwill from the remaining assets of the business because such division may result in the trade mark become confusing for the consumer in consequence of an inability to identify the origins of products associated with that mark. One recent example of such a situation involves the owners of the MG mark. When MG Rover went into administration in 2005 its key assets were purchased by Nanjing Automobile Group. Nanjing, which owns the majority of the UK registered “MG” marks, is now in dispute after Rover went bankrupt, when PricewaterhouseCoopers (who were dealing with the administration of the business estate) sold another MG Mark, MG X-Power, to a small UK company. The Birmingham Mail reported the story back in April 2008. 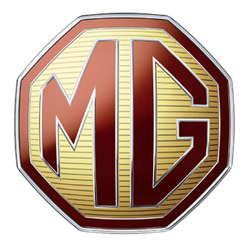 The UK company launched invalidity proceedings against all the MG trade marks for the very reason that the assets of MG were split up in that manner. In September, Nanjing Automobile issued High Court proceedings against Mr Riley, the owner of MG XPower, over his launch of the turbocharged MG X-Power model. Nanjing had made an application to stay the proceedings launched by Mr Riley’s company and instead of granting the stay the hearing officer opted to refer the UK IPO proceedings to the High Court by way of counter-claim. Mr Riley had sought the award of costs of between £40,000 and £60,000, but the hearing officer has already indicated that he does not envisage an award of costs of anything approaching that figure, which appeared to him to be “staggeringly high”. This ruling prolongs Nanjing’s challenge to Mr Riley’s plans, less than a year after he launched the Worcestershire company in a £2 million venture. Who knows how this will end? One risk is that the MG brand might be rendered valueless for deceptiveness. The lesson here is to ensure that one buys all similar/identical marks from a liquidated company to avoid such risks. A seller or purchaser of marks should also pay heed to company names and domain names which incorporate marks they are buying or selling, as if these are similar/identical and are split between purchasers, thus being owned by different entities, such a situation may give rise to passing off and trade mark infringement claims. Insolvency practitioners should be aware that registered trade marks can be, and often are, used as security for a loans by way of a charge or other mortgage (TMA 1994 s.24(5)). Before any registered marks are sold or transferred to third parties, there should first be checks to see if there are any other interested parties who may have a charge against the mark. Enquiries should be made to establish whether there are any licensees or mortgages of the mark in order that they can be informed of the making of the insolvency order and asked to note the official receiver’s interest. The mark may also have licences attached to it which would give rise to an obligation for royalties to be paid to the owner of a mark by a third party in return for the use and utilisation of that mark (TMA 1994 s.28). In order to maximise a bankrupt’s estate where a winding-up order or bankruptcy order is made against the mark’s owner, the official receiver should make contact with any third party who may be liable to pay royalties, inform them of the company’s position and ensure that they pay any future royalties due directly to the liquidator or trustee. A licence of a trade mark may also be sold and any assignment should be in writing and signed by the parties. If it is the case that the company in liquidation is in receipt of payments under a condition of the sale of a registered trade mark, rather than because they have licensed the mark, the payments cannot be claimed as an asset as the trade mark will not actually vest in the estate of that company. In this instance the payments should be treated as income and can be claimed under an income payments agreement or an income payments order. In absence of a express provision in a licence agreement which terminates the licence, a licensor will often be keen to ensure that its relationship with an insolvent company is brought to end as quickly as possible for a number of reasons including: the prospect of tarnishing or damage to the brand as a result of association with the insolvent company; the ability to attract a new licensees who will be able to exploit the mark more effectively; and the risk of the licence being sold to an unknown third party by the liquidator, particularly damaging if the licence is sold to a competitor brand. However, it is usually the licensee who will face the greatest losses. If the licensor becomes insolvent the licensee could be at risk of losing the trade mark that is essential to the operation of their business, thus giving rise to a substantial commercial impact. This is because the liquidator can set aside an IP licence as onerous property, say because the licence obliges the licensor to protect the brand; or it may decide not to honour its commitments under that licence. In practical terms this may not be as damaging an impact when considering the licence of a trade mark compared to, let’s say, database rights or crucial commercial know-how, but it can still have a lasting and substantial impact. This is something that should be considered from the outset of any negotiations regarding contracts outlining the rights of parties who are licensed to, or are licensing, their marks or other IP rights. If a sale and/or purchase of a mark is successful, or any person becomes entitled to a trade mark by virtue of the making of a court order (including winding-up and bankruptcy orders) that person must to inform the UK IPO of his interest in the mark (TMA 1994 sections 25(1) and 25(2)(e)). Where an insolvent owns a registered trade mark, it is prudent for the official receiver dealing with that estate to inform the UK IPO of the winding up order or bankruptcy order and ask it to note the official receiver's interest in that mark. The key to a successful acquisition and sale of a registered trade mark starts with due diligence, including knowing where to look and keeping the UK IPO informed of all changes along the way.